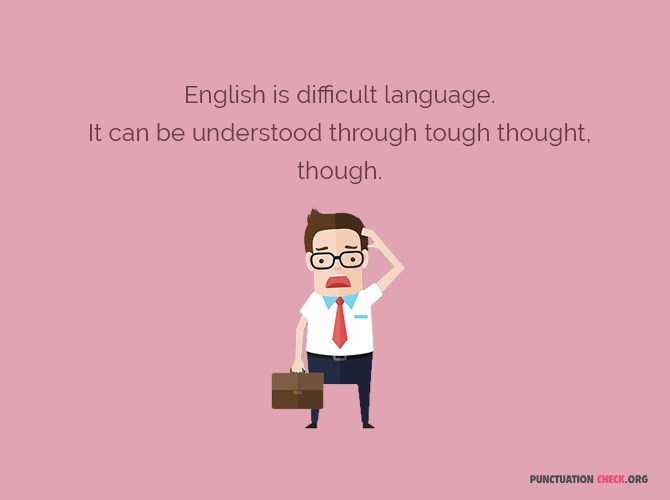 If you want to impress others by speaking and writing fluently in English language, you need to work hard for it. First of all, learning grammar increases the opportunity to gain more knowledge. You can read books, internet articles and newspapers with proper understanding of language. This would give you strong command over the language with the treasure of knowledge as well. The process of learning should be continued till the last breath. 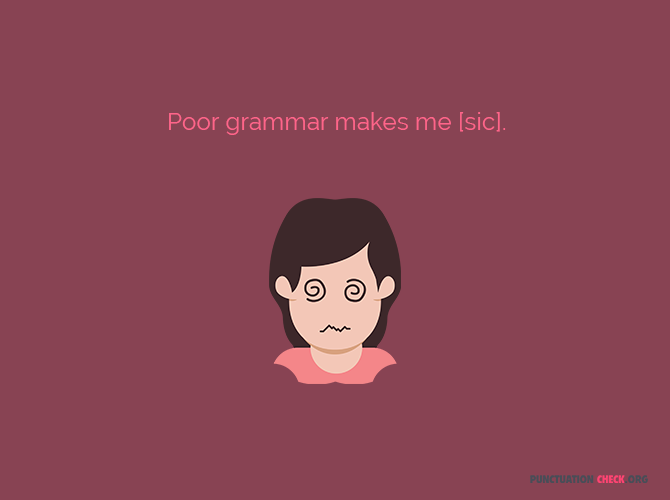 Therefore, it is your misconception that you’re perfect in English grammar as a fluent speaker. The grasp in the language has many benefits. It can show you more confident, improves communication skills and increase opportunities of work as well. You have always check for punctuation errors you writing, and keep your attention on grammar. Why Do People Find It Tough to Learn? The basics of grammar seems simple but the things get complex when you goes in the details. Many people find it hard to learn the use of punctuation marks, tenses and rules of developing a sentence structure. If anyone in your surroundings is feeling worried about any issue, you should share the witty grammar mistakes jokes with them. 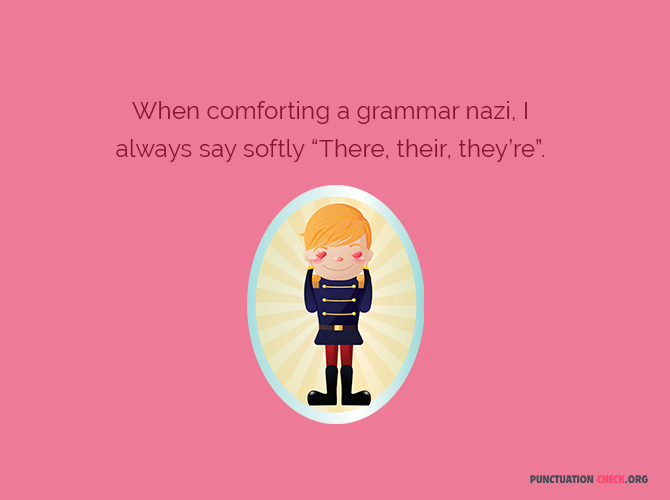 Honestly, these grammar jokes work best for changing the spoiled mood. If you want to avoid making a lot of grammar mistakes, the ideal way is to stop avoiding the daily readings. You can make it more exciting by watching the informative TV shows for improving the grammar. Keep your major focus on reading and listening. 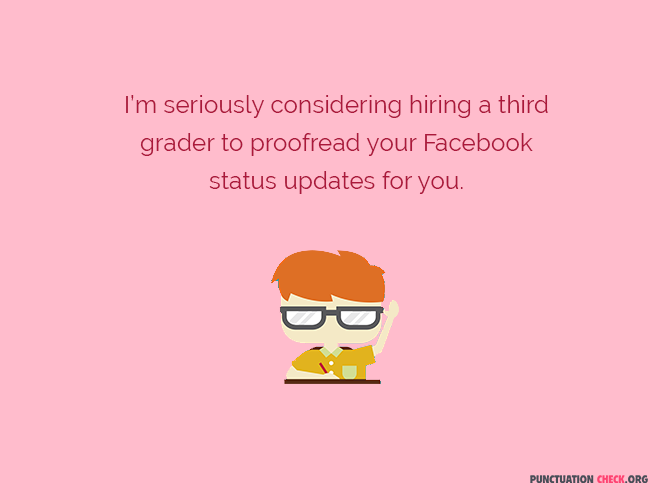 Also, you can use grammar and punctuation checker online tools. In a class, the teachers asks a question from pupils, “What is the difference between a cat and a comma?” One student replies, “A cat has claws at the end of its paws and a comma is a pause at the end of a clause”. Punctuation definitely plays major role to convey the proper message. For instance, “A woman, without her man, is nothing” can become like this “A woman: without her, man is nothing”. 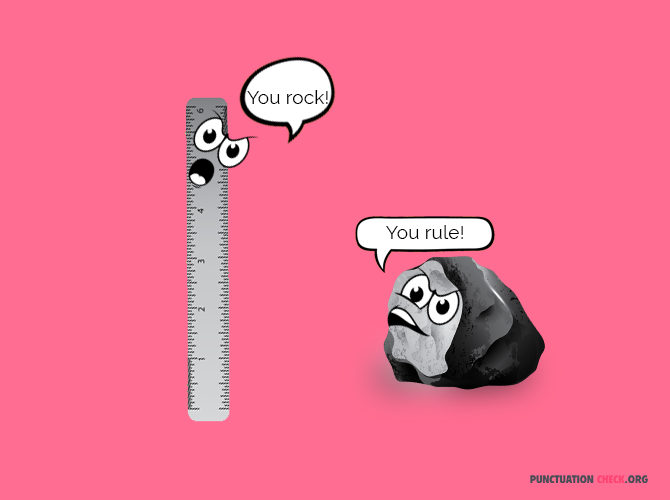 Make a visit of this page to read wittiest grammar jokes that are informative as well. Remember to share with others as well.